2014 for sure has something good and great for me I believe. 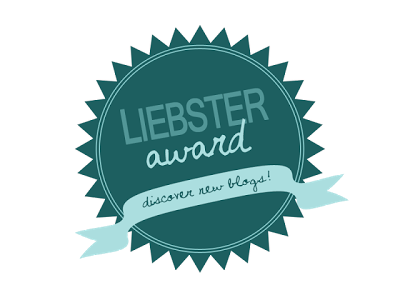 This January itself I got 2 Liebster awards, one from Magee's Kitchen and other from Shobha's Delight. Thanks a lot to both of you for nominating my space for this award. Never had any expectations and when you get something which was unexpected and great, your happiness has no bounds. So am I. Had been waiting to get myself free a day or two so that I could look back and spend time with this baby blog. Now that this award was something I loved to receive must be passed on too. I'm very much thrilled at the same time confused with not knowing whom to pass this award on. Liebster, a Deutsch word meaning the beloved. So my next task is to answer 10 questions put forward by Magee's Kitchen. And thanks to Shobha's Delight for reducing my work with no questions to be answered. Here go the answers Magee for your questions. What's you opinion on using Maida in regular cooking?I do use it very rarely but I never compromise with the taste of the food. Just because Maida is considered not much healthy I don't avoid it fully. When I cook something that tastes best with the use of Maida, I just don't sit and think alternative, rather just use it and prepare. How often you go out to eat?I love to, but not more than three to four times a month for sure. It is just because always I find what others prepare tastier than mine. Ever arranged a candle light dinner in your home, if yes explain. No, never arranged a candle light dinner at home but yes, this idea seems to be great and would definitely like to arrange one on a special day to come. Your Favourite Indian chef name: There are many but if you say one, it would be Vahchef Sanjay Thumma. One kitchen equipment you wish to buy? Not sure of but I would say it would be a Kitchen Aid with no second thinking. Are you a health conscious person, if yes explain 2 points which you follow.I wish I was, not sure if I'm. I try a lot to avoid oil fried snacks, still at times when I feel I cannot control my urge, I just let go all my health consciousness and indulge in whatever I wish for. What is on your fridge top? Fridge Top! Hope you meant outside the fridge if so, I have nothing as right above the fridge top is a concrete on top of which is the cooking range. If it is the other way round in my freezer cabin stays all the time, a block of butter. Do you prefer to cook in mud pot?Have never got a chance but would love to try. Your recipes which got more appreciation from guest.My Pressure cooker Egg less, butter less Vanilla Sponge Cake and Rasgulla. List of 5 recipe you prefer to cook for your guest. Simple Vegetable Pulav, Any Paneer/Indian Cottage Cheese based curries, Golibaje, Carrot Halwa and Rotis. I usually avoid making complicated dishes when I have my guests at home, prefer to prepare what I expertise with. Who or what is the strong reason and motivation behind the food blog you started? Which is that very common dish that you prepare at home and is blogged at your space? What you love most, cooking or baking? What is the dish that you are planning to prepare tonight? When you arrange parties, do you cook for the crowd or do you arrange a caterer for the same? What is the best compliment you ever received for any particular dish of yours? Which is the recipe that you consider is the best in my space here? What according to you is blogging, end of the day is it a hobby, a storehouse of recipes or a source of income, explain what you feel on these contexts? Do you love cooking complicated recipes with perfection or recipes that could be followed easily with perfection? When you go through different blogs, do you enjoy reading entire stuff or just the recipe? Copyright © Eat n Eat little More 2013. All rights reserved. Simple theme. Powered by Blogger.